Here's a full playthrough thru one of the levels from the upcoming fifth Hitman game ; Hitman Absolution. Already watched it and thinks it looks amazing. The strategy of traversing a room of men is cool, and you get to hear them angry that you slipped past if you let them live. I haven't ever played a Hitman title, but the game looks easy to pick up. Looks like a solid title for the 2012 gaming year. You should try one of the earlier games. Those are full of moments like these were you actually have to hide in the crowds and blend in. Bond games should be more like Blood Money for example. I know. Just like with the Ma Payne games I have a difficult time finding older games like the Hitman series. You can hardly find titles from 2007 nowadays. This looks awesome! I've been a fan of the series since "Hitman 2" and I have to say this looks like it's going to be the best one. Makes me want to go back and play through the series again. Definitely. This and Max Payne have me pumped up for sure! The Series is awesome. The level design, graphics, story and weapons have always been top notch. I've never played the game but from watching gameplay footage it's pretty solid. A bit rough around the edges but an awesome 2. A superior game and much bigger. It's also the longest hitman game to date with 21 levels instead of 13 like the others. It's hard to classify this one. It's basically a Sequel, Remake,Prequel thrown into one game. It remakes some levels in the first game and adds some whole new levels inbetween. So far the best in the series. It took all the bad things about the first 3 games and made them better. It refined the control scheme and made things flow smoother. It's one hell of a game. I still play blood mobey abd can't wait for this new game to come out in 2 weeks!! It's been a 6 year wait. I'll also be getting the hd collection games of the previous titles when it cone's out early next year. Creasy47 In Cuba with Natalya. Out of some of the great titles (and incredible letdowns) I've anticipated this year, this is by far my most anticipated. I can't wait to hit Thanksgiving Break during this game's release and spend a week playing it. The 'Hitman' series has never let me down, and I hope I can couple this with the long rumored (and hopefully officially announced in the near future) 'Hitman HD Collection' by Christmas. I don't think I'll play it because I didn't play any of the past games ecept the 2nd one, so the story might confuse me. I'm waiting for this game and I'm little worried about Diana Burnwood. For me she's very important in "Hitman" series but her character will be killed. What a shame! I have a hope that H:A will be a good, thrilling game. They'll probably be on Ebay or Amazon at some point, and if it's been made in the last 5 years or so they'll probably end up on xbox live/psn. 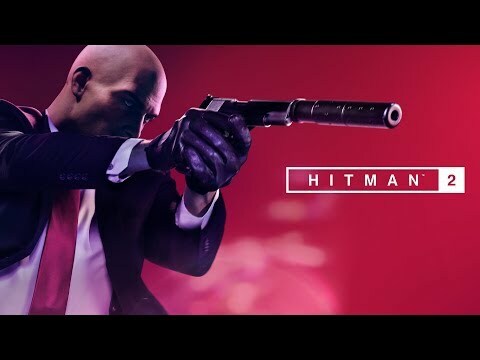 Sorry for reviving an old thread but... other than this, is there a Hitman Appreciation Thread anywhere on the forums? I don't think so, but if there's no objections, I could rename this thread. I've just read my comment further up this page. Well... at least Lollipop Chainsaw was an enjoyable experience. I was just meaning to post about Dynamite's latest addition to their publications list, @MajorDSmythe, which itself is the first official Hitman comic book directly tying to the events of the latest installment in the series. Although, the comic book is a prequel to the entirety of Hitman, entitled Agent 47: Birth of The Hitman, and as such concentrates on his early days and first job as an assassin. Also starring the Shadow Client, who's revealed to be called 6, and Diana Burnwood. It's scheduled to debut on 11 October 2017. I'm not a comic book guy at all, but I am intrigued by those 'Hitman' comics, especially since they seem to hint at even more of the story that was in Season One of 'Hitman.' Really hoping we get a second season announcement by the end of the year. I've heard about IO Interactive having to be sold and bought up again after some underperformance by the game that resulted in some cuts/layoffs to the team, but don't know if that's ever been resolved. I don't know all the details exactly, but it had something to do between IO/Square Enix, where the latter dropped them, but IO is back to being their own company again so there shouldn't be any issues with the release of season two. When it was first happening, I figured it would get canned and that would be the end of one of my favorite gaming franchises, but thankfully not. Glad they got it sorted out. Square have a bad habit of overshooting on their franchise games and expecting each new installment to pull in crazy/massive amounts of money no matter what. They lack a sense of reality about where the market is at at times and punish their teams through their own delusions. I still want my Sleeping Dogs sequel from them, but that's another that didn't meet their high financial standards despite being a cracking game. 00Agent A man who drinks Dom Pérignon '52 can't be all bad. Absolutely. I've seen a lot of franchises start to go down the tube thanks to Square Enix's business practices. I want to say they were involved in a recent 'Final Fantasy' titles that fans were pretty upset with, as well. 'Sleeping Dogs' was a blast. I may pick up the Remastered version of it some day. Correct me if I'm wrong, but wasn't it a 'True Crime' game set in Hong Kong, before it got scrapped and picked up and tweaked into 'Sleeping Dogs'? I think the biggest issue people had with the latest Final Fantasy is that it took forever to come out, to the point that some fans were going into college when it was announced and were playing it as 30 plus year olds when it actually came out. It took on so many different identities in that time too, and just never came out. It blows my mind how games can take that long to make and developers keep teasing players for a decade plus about it over that time. As for Sleeping Dogs, you're right. It was made to be a sequel to that series but Activision dropped it out of nowhere saying that it couldn't compete with the other games of its kind out on the market (who knows if this is true; it's far more likely they just wanted to save more money for CoD). Square Enix then went and picked it up and gave it the life it needed to finish development. I have to give it to them for that, as that was a cool move. The game was on my radar the minute I saw that demo of it in 2010 and I was beyond heartbroken to see it canned. When I heard it was being resurrected and then found that it was just a great game, I was through the roof. Sadly the original studio behind it is no longer around, so who knows if we'll ever see something like it again. But it is a great prototype game that could get a sequel that stepped it up even more. They could have Wei forced to go back to San Fran, colliding with his demons there that made him leave for Hong Kong in the first game. Introduces co-op play for the first time, too! Briefcase making a return, more versatile levels. You know I'm beyond excited. Getting the best edition day one that I can. It's just me, or Sean Bean is doing the voice-over for the trailer? That is definitely Sean Bean's voice. One can only hope he gets to voice someone in the game.